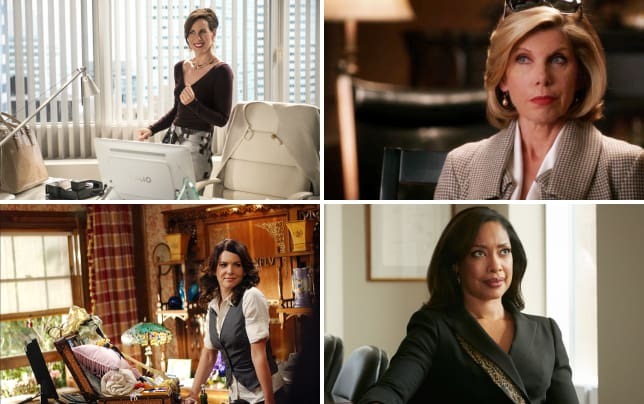 The past and the present collided in The Good Wife Season 7 Episode 14 as Alicia went back to Lockhart, Ago, & Lee to find that you can’t always go home again. When asked why she returned to the firm she helped start and was ousted from, Alicia replied that big decisions are easy when you have no other options. But Alicia does have options, she just may not like them. Her first case showed just how much the outsiders she and Lucca were. I especially felt for Lucca. In some ways being a part of a large firm is a step up from bond court but fitting into this new culture won’t be easy. Cary likes Lucca. Diane doesn’t seem overly fond of her and yet they both had the same reaction; to push Lucca together with Monica. Are these two women really the only black associates in this entire firm? At some point throwing these two together went from being funny, to farcical to just sad. Speaking of sad, Alicia’s conversation with Diane was incredibly awkward. These two used to be close but the distance between them has become a chasm. Now Diane appears to view Alicia as some sort of threat or at least someone she has to keep in check while Alicia seems to be resigned to her fate. The Chum Humm story had its funny moments. The best was the judge who was both distracted by ants crawling all over his bench and yet matter of fact about the case in front of him. What I didn’t understand was why Howell just didn’t say that he found the tablet at the convention since his girlfriend said that she found it. I know he was trying to protect her and things got out of hand but when Gross kept insisting on a name, an answer at least close to the truth seemed the best and easiest solution. Marisa was simply awesome in this hour. She was quick to figure out that her date was far too interested in her father and not very interested in her. When she showed Eli the photo she took and played the recording of their conversation, I don’t think he could have looked any more like the proud papa if he'd tried. And please tell me that Alicia will be hiring Marisa as her assistant sometime soon, even though she is hysterical at the overpriced juice bar. We may be mercenaries but even mercenaries have a code. Permalink: We may be mercenaries but even mercenaries have a code. Ruth’s code had her going to offer Alicia some advice. Peter may be going down and if Alicia doesn’t get clear, he may very well take her down with him. Is it time for Alicia to stop playing The Good Wife and cut all ties with her husband or is she willing to stand by his side no matter what? 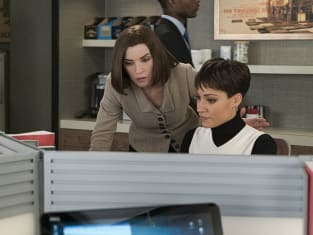 Check back on Wednesday to see what our The Good Wife round table team has to say and if you can’t wait for The Good Wife Season 7 Episode 15, you can watch The Good Wife online here at TV Fanatic.